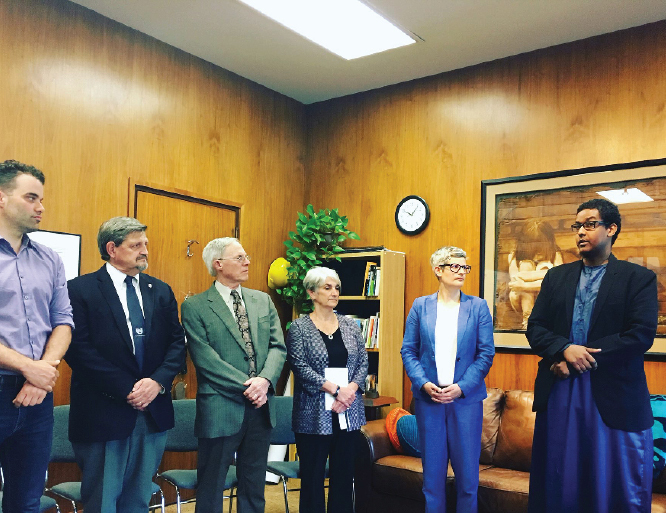 On Wednesday, May 16, City of Victoria Mayor invited Imam Ismail Mohamed Nur of Masjid al-Iman at the City Hall to celebrate the beginning of the holy Islamic month of Ramadan. This was the first time the mayor and council invited an Imam to the city hall to mark the beginning of Ramadan. Imam Ismail approached the City to help the community understand and celebrate Ramadan with the nearly 3,000 Muslims who live in Greater Victoria. On May 25, Victoria council has agreed to partake in a day-long fast, and have challenged the wider community to join with them to try to understand what Muslims are celebrating.